The goal of the World Agility Open in establishing the jump height divisions listed below, was to create a height division (our 300 class) where small dogs such as Papillons, Toy Poodles, etc. could compete internationally, as well as to create a Midi/Medium division (our 400 class) that was truly for medium-sized breeds. 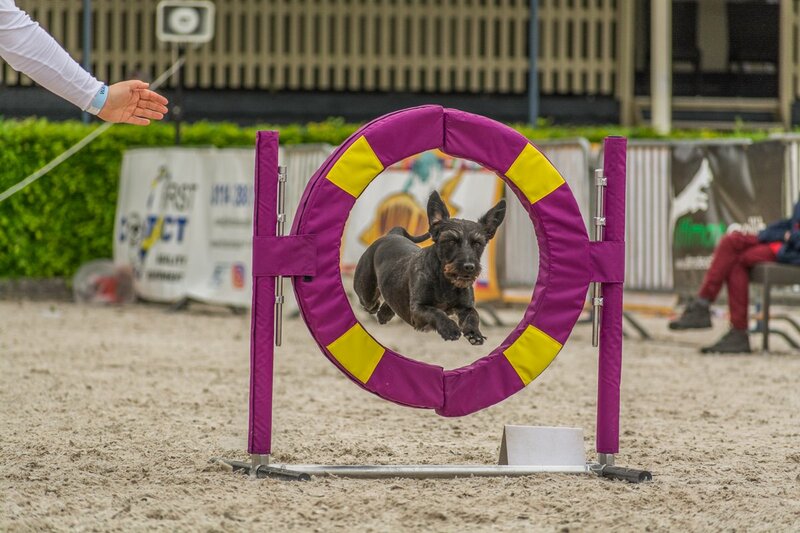 The 500 and 600 divisions split the larger dogs into two jump heights so that dogs are competing against dogs of a more similar height. For the complete WAO rules and equipment specifications, please go to the Rule Book page.